' [Birth Mother] First Mother Forum: To First Mothers: Legislators need to hear from you! To First Mothers: Legislators need to hear from you! First mothers are needed to convince legislators that they were NOT promised confidentiality when we relinquished our children, nor do we need or want it now! A few states--Hawaii, Louisiana, Massachusetts, Missouri, to be exact--have bills in the pipeline to unseal original birth certificates (OBCs), but the legislators parry and worry and delay the bills because usually a few insist that mothers must have a "right" to lifelong anonymity! By in large, legislators do not need convincing anymore that there is a crying need to give the adopted their original birth certificates, but their Yes! vote appears to hinge on their feeling about the supposed right to anonymity of birth mothers. Yes, that is what we are called by legislators. Birth mothers. ACLU chapter may pop up and say they are speaking for all the birth mothers in the closet who cannot come forward to beg to remain in the closet, hidden from their own children. They have done it elsewhere. These folks fill legislators' heads with talk of the disaster, havoc, lives ruined, etcetera that will rain down on humankind if the adopted are given their birth certificates. Hints of suicides are mentioned. Trust me, I've heard all of these things at hearings for adoptee rights. I've watched handlers from the National Council for Adoption comfort a sobbing mother who testified asking for anonymity. From whom, I always wanted to ask--your child? It didn't seem like it that day. Do not let these people--who only see mothers at the vulnerable time of relinquishment--speak for us. While some who work for legislation claim OBC access is not about reunion, only rights, for us OBC access may be the only route to the reunion many of us so fervently wish. No statistics exist on how many adoptees get their OBCs with the name intact and search, but I'll go out on a limb here and presume the number is quite high. It is certainly a presumption the man in the street makes, as well as any legislator. Why get that piece of paper without taking the next step and finding out what your story is, why you were relinquished, who your father is? Isn't there an innate curiosity about your own story, or has the trappings of adoption and the secrecy fostered in the past and the guilt that follows killed this curiosity? So while we approach the busy time in state capitols, take a moment--give this an hour!--and send an email, write a letter, make a phone call to a legislator in the state where your child was born or, perhaps even more importantly, the state where you live now. In the above states, letters from anywhere are better than no letters are all. Let them know that you, a mother who relinquished, are in full support of giving adoptees their original birth certificates. If you pray for reunion, let them know that too. If you already have had a reunion, tell them that. If you have a hole in your heart, tell them that too. You don't have to go on at any length, just hearing from first mothers is crucial! Ask them not to allow the few mothers who are in the closet to have total control over the process, because that is what a contact veto or redaction does. In Louisiana the current terrible bill in play has disguised their absolute veto as a "contact preference." A preference is when the adoptee still gets the OBC--without redactions--but receives a notice that her first mother does not wish to be contacted. That has to be among the worst pieces of information that an adoptee ever receives--now she feels rejected and abandoned twice--but it still gives her the birth data and history, and leaves her free to contact siblings or other relatives. *This was taken a year after reunion and though the photo doesn't show it, we had on matching sandals, made by a small Italian company in limited quantity that we purchased separately more than a thousand miles apart. Synchronicity at work. PS: Because the people in those states have worked so hard to get where they are now, leave a short notice here that you contacted someone to cheer them along. EVERY EMAIL, EVERY LETTER, EVERY PHONE CALL is another nail in the coffin of sealed records. If you have never done this before, let this be the year you start. Think how proud you will be to tell your son or daughter that you took action. PS: New York's bill is so terrible no one is supporting it. We hope to let it die this year, we hope the opposition can not have it rewritten so that it is a comedy of contravention, and revive a new bill next session. Sad but true. PPS: Because of infighting among people working for OBC access, comments will be strictly moderated. IF YOU HAVE TROUBLE COMMENTING, PLEASE EXIT FACEBOOK--someone has also suggested leaving Google to comment--and try again. We sometimes hear from people who have trouble commenting, or that we are censoring them, but we have never seen their comment at all. If you have links to add about where letters are needed, please add them. "I like the fact that Lorraine has shared with us in this book all the various parts of the reunion years....'The rest of the story' so to speak. Because often times there are many ups and downs over the years following reunion and the important thing for people to understand are these years. You might watch some TV show about people finding their families - and they are all tears and hugs and wonderfulness. However, what happens next is what matters most. What happens 5 yrs down the road - 10 yrs - 20 yrs? That's where the story is. "My first mother has been dying for awhile now. I have all sorts of emotions about this ending. Reading this book helped me in many ways while I'm going through this process of letting go of the woman who gave birth to me 62 yrs ago. I'm glad I had already bought it several months before and had it ready on my Kindle to start when I needed something like this to help me get through." Links above to Amazon. THANKS THOSE OF YOU WHO ORDER THROUGH FMF. JUST CLICK ON THE JACKET OR TITLE AND GET TO AMAZON. Can you perhaps post names of the right people to write? My daughter was born in Missouri, but I haven't lived there for 30 years so I have no idea who would be my legislator or which one would be concerned with this issue. Missouri readers, can you help? Hi Barbara, just type in Missouri house of representatives or Missouri senate representatives in your search engine. Type in either one and you can navigate to both house and senate to any and all information you would need in regard to each member and contact information, plus a map that shows districts. I would like to see HB1599 passed as it was introduced. Do take a look at HB1822. It has been riding the wave behind HB1599 and being passed through the House so far, as of 3/15/16. It's a really bad bill. Hoping it dies where it is. Hi Barbara--I just heard from MO. Apparently the legislators are saying they will not listen to anyone who is not a constituent and are urging outsiders (which you would be at this point) to write to the Governor. Please do! I'm preparing a letter about both the bills. I hope other moms here do too, even if they're not from Missouri. If you write to legislators you may want to include a link to Elizabeth Samuels' study on surrender papers from many states, none of which promise birthmother confidentiality. Make it clear that as a surrendering mother you were promised nothing.Most will not bother to read this, nor will they read a long emotional story, but it is useful for legislators to know this study exists. It has much more impact if you live in or surrendered in the state in question, some legislators ignore out of state mail because their main interest is their constituents and getting re-elected. Get in touch with whatever local reform group is sponsoring the bill, and follow their guidelines. Links to MA, LA, and MO groups are provided here. Sometimes they want out of state feedback, sometimes they do not. Also, the local group can tell you if there are specific committees and legislators to target, or whether it has reached the stage of writing to the entire legislature. Keep it short and clear, find out the bill number and include it and put it in the header if you are sending an email "Vote Yes on HB 0000" for example. Don't quibble over what you are called, if you don't use birthmother, say "I am a mother who surrendered a child for adoption in MA in 1968 and I support Bill#----original birth certificate access for adopted adults." Even better if you can add "I am a voter in X county, MA." if you are. Read the bills, including the fine print, decide for yourself what you can support and what oppose. I agree. Write the legislators. But I also agree with Mary Anne. Read and get informed about each bill and what it does or does not do to give adult adoptees unrestricted access to their own vital records. The Massachusetts bill (H.2045 and S.1144 -- http://www.obcforma.org/#!obc-bill/cfvg) is the simplest and levels the playing field for all adoptees by removing access restrictions related solely to when someone was born. The bill does so by striking out about 20 words. That's it. Missouri's bill (HB 1599-- http://goo.gl/U7cYMN) has a misnamed contact preference form that is really a disclosure veto. The bill started out clean, with unrestricted access, so you may want to write to ask that the bill be passed without any restrictions, as it was introduced. Louisiana's bill (HB391 -- https://goo.gl/w1L6NM) is a complete and shocking mess and seems like it came out of nowhere. Among other things, it requires at least an hour of 'counseling' for all parties, a confidential intermediary, potential criminalization of the release of confidential information, and includes a disclosure veto disguised as a contact preference request. Hawaii's bill (HB2082-SD1 -- http://goo.gl/ZjHmCE) is clean clean clean. I'm amazed what's going on there, and when I wrote the senators to support the bill, I got personal emails in response. It's hung up currently on some technical nonsubstantive stuff but has already passed the Senate and looks poised for complete passage. Pretty cool. I don't think including the link is a good idea. Legislators want to know how you the mother feels, not be told what they should be reading. Best to tell your story in a single page and be heartfelt about your support for unsealing records and opposition to stinky bills that just obfuscate the whole damn thing. If adoptee rights hinge on how the mother feels, those who feel fear at the thought of being contacted have just as much influence by telling their story as those who wish to be found or are reunited. I included the suggestion to include the Samuels study in letters to legislators (which individuals who are writing may or may not take, their choice)not to obfuscate anything but to provide concrete proof that surrendering mothers were not legally promised confidentiality. Facts matter as much as heartfelt stories, sometimes more. There are many approaches to writing to legislators, this was just one, and hardly irrelevant to the subject. Maryanne, I think are missing the point. Law may seem logical but legislators want to hear how mothers feel about releasing the information. If this were not about "feelings" the laws would have changed a long time ago. Legislators are worried about how first mothers feel about this legislation. And they are concerned about first mothers "feelings" about anonymity, etc. I ended up including the Samuels reference but as a footnote, not an instruction. Letter to follow below. A sobbing mother testifying for the National Council on Adoption who wants anonymity? SMH! So she is willing to tell the world about being a birth mother but can't face telling her own child that she brought into the world. I don't get it. I think you're right that, from the perspective of the mother, it is primarily about search/reunion. A mother obviously already knows and has felt and experienced birth and relinquishment. There is no need for proof that the child existed; the focus instead becomes "is my child OK?" I disagree, though, that for an adoptee it is primarily about reunion. It's more complicated than that. I feel it is a two-step process. That first step is proof that you were born and had a name and were born to human beings who also had names. It is removing the abstraction of a mother or father and replacing it with a reality that our parents existed and that we existed, together. The only way I've ever been able to describe how it feels is this: when I knew the name of my mother and that she existed, it was as if I was suddenly and irretrievably tethered to this earth. That was solely from knowing our collective identities. Search and reunion may follow naturally for most adoptees. But it takes a second step to get there and I don't want to diminish adoptees' experience with a somewhat complex process that is not solely or initially about search and reunion. It is about proof. Mothers have that. We generally don't because it is hidden from us. Neither experience is greater than the other, but each is different. Gregory--Thanks for your insight. Since I ALWAYS was freaked out about the idea that I might never know her--but always fought against that in my mind--I can see how one might not lead to the other--to a search. But we mothers who want the laws changed--we pray for that search and reunion. Kinda like a "search and rescue!" Gregory Thank you for expressing this so eloquently. I remember when i finally had the names I felt like a huge weight had been lifted. The knowing, the validation that I had been born like everyone else and that these people existed and had names and were not just abstractions. I remember someone asking me right away if I was going to go talk with my birth mother and it took me by surprise, I really had not thought that far ahead at the time. Just ending the ungodly mystery was what mattered in the beginning. Later on a reunion of some sort would have been nice but was not to be. Adoptee123--I understand better now what the feelings are, but my question is: Did you eventually search for your first mother? Yes I did anr tried to make contact with her a couple of times but she did not want to talk with me. I did meet other relatives though. Thanks Gregory and Adoptee 123. Your comments remind me of a line from "Antwone Fisher" where a Navy psychologist played by Denzel Washington asks a troubled adoptee sailer played by Derek Luke where he was born. Luke answers "I wasn't born; I was hatched." Adoptee123, I am sorry to hear that. I know these things happen, but I do not understand these women. At All. Jane it is really hard to explain but it is not like the line from the movie you quote. We know we were born but the framework around it is missing, the details that put it into perspective. For instance in your case you probably know where you were born, what time, likely grew up hearing some details such as it was rainy or snowy or sunny and your mom was in labor for x amount of time and the doctor said this or that and your dad said this or that when he first saw you, and on and on. For adoptees we know we were born but there is no infortmation behind it and we don't know if the date is right or the location has been changed and we certainly don't know any details and the names of everyone involved as that is with held from us like a state secret. Knowing some of the details makes it more real to us and it is really hard to explain the feelings around this to someone else who never had the details of their early life taken from them. Having names and confirmation of dates etc. solidifies the event for us, otherwise it is almost like we had our identity stolen-and that doesn't even explain it accurately since people who have their identity stolen still know who they are and can prove it. It really is hard to explain. The first time my son and I spoke, in reunion, he said," this is different for you because you remember me, but I do not remember you." I was struck by that, the profoundness of it. Of course, I remembered him, I remembered being pregnant, and giving birth, and I even was able to take care of him for a short time. But, then years later, I had an experience that taught me something else. I needed a copy of my own OBC. My parents had never gotten it. All they had was a "record of birth registration" which stated that an OBC was on file for me in NYS where I was born. So, my father went to the county hall of records and got copies of my OBC and sent me one. And it was very emotional to me, which surprised me. There was information on it that I hadn't known, also. But, mostly it took me back in time and made history real. I love your response and perspective that reunion is proof for the adoptee, proof of the "realness" and that even the first mother was or is human and not just a myth or a name on paper. So there appears to be an emotional component to an adoptee's search. If the search is emotionally driven, why is it such a long process to acknowledge the first mother for who she really is? Is it denial? Anger? Resentment? Is this because some adoptees have never experienced these emotions before (as related to their adoption and first mother)? Or, was the loss (from their first mother) more of a subconscious loss rather than a cognitive loss? For me as a first mother, of course my loss was cognitive, in real time, and I loved my son for 9 months while pregnant. Reunion 40 years later revealed the depth of my sorrow and ramped up my biologically-wired love for my now grown son. Although virtual strangers, neither can explain the primal, reality-based love we have for each other. Seeing my son was soothing balm to my heart, mind, body, and soul, and it was proof that he was indeed alive and well, happy, and healthy. I worried for over 40 years whether he was alive or not, suffering, happy, sad, etc, etc, which was one of the cruel "features" of the closed, barbaric, hideous era. Sadly, even after a happy reunion, we each exist in our own worlds, known to each other but unknown. Thank you, Gregory, for your posts, and I so appreciate your wisdom and insight. Your perspective is helping me understand my own son better, and it is hard to find information from a male's perspective. Thank you so much for taking your time to help educate us and I appreciate it very much. Good questions. Here's my hopefully brief stab at it. And obviously it is from my own perspective—I've learned enough to know that there are thousands, millions actually, of varying experiences. I can only generalize about mine. 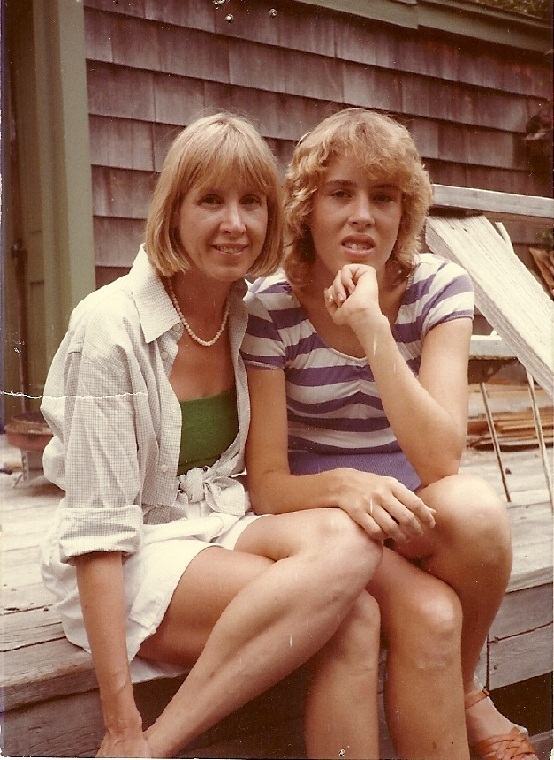 It's never been about denial—it would be impossible for me to deny my birth to my mother. For me, it's also not about resentment or anger. I'm not an angry adoptee. Never was. Your question "why is it such a long process to acknowledge the first mother for who she really is?" isn't something I've ever asked or thought about in that way. It's simply present, without a need to acknowledge it. She is my mother. But until I got proof about "who she really is"—that is, proof that she is a specific human, with a name, on this planet— it always remained an abstraction. Growing up, I obviously didn't know my "first mother for who she really is." I only imagined her, and typically those imaginings came up in times of empty spaces. Not empty as in lonely, but empty as without content. The best example is at family gatherings in which I was with a largish extended Italian family, or at Christmas with my cousins from rural Arkansas. You know that you are not Italian. You know that your own ancestors did not hail from the coal mines of Arkansas—or at least you know enough to have significant and legitimate doubt. Most of the time I did not look like and may not have even acted like my relatives. I was not rejecting my relatives as a family in thinking that way—it genuinely was a time in which I was most aware that my relatives had a connected history that did not include me. Those relatives may not have thought that or been aware of it (most people are not aware of it), but you are very much aware of an exclusion that exists. This exclusion actually reopens, over and over, that empty space. And when it opens you wonder what content should fill that space. You wonder about a mother mostly, and you wonder who that person is. You don't actually wonder about reuniting with that person. It's more about getting proof that this mysterious person exists and gave birth to you. Obtaining proof of that person should not be complicated, either emotionally or legally. Taking that next step, moving across the vast plateau from abstraction to reality to search and reunion is separate, different, and often complicated. Because that's when you have to figure out, as you say, your "first mother for who she really is." When proof becomes reality, it is complex, emotional, a push-and-pull kinda thing that also involves conciliating between other relationships and trying to span 30, 40, even 50 years of expectation and imagination. And, for me at least, it took a bit of work. My guess, wholly uninformed from any research, is that it takes a bit more time for males than females to work through these things. But I don't really know that, it's just a hunch. I also imagine it takes the rest of our lives to try to figure it all out, which is not inherently a bad thing as long as you are willing to hang in there. Identity is often a struggle for everyone, whether adopted or not adopted, birth mother or adoptive mother. But the non-adopted have a significant leg up, primarily because they have no issue of initial existence. That's really what makes it so unjust. Their door is open. Ours is closed. And opening that door is a fundamental first step toward doing whatever you want with whatever truth you discover, even if it means doing nothing. Often it will not be nothing. But I cannot understate the profound feeling of finally knowing that your mother has a name, a place, and an identity that actually, demonstrably, exists within your own world. This one is puzzling to me. "The Illinois House is considering a measure that would allow agencies to let people know the reasons they were put up for adoption and other information that wouldn't identify their birth parents, including details of their medical histories." This looks like a defensive measure. Agencies are afraid that a bill may be passed requiring them to open their records to adoptees. While Illinois now allows most adoptees access to their OBC's, agency records have far more information about the birth family which may help adoptees locate them give them a cleaer idea of what was going on. Agencies likely don't want adoptees to see their files because adoptve parents may object and agency shenanigans may be revealed. I warn adoptees that information from agencies about why they were put up for adoption is suspect. Agencies placed canned self-serving verbiage in consents and other documents such as "the mother did not think she could parent." I recommend to Illinois adoptees and natural parents that they write their legislators and ask them to amend the bill to allow adoptees to see the file other than personal information about the adoptive parents. Jane...Toni here. I don't understand how these States can deny a change. Oregon has one of the best systems to follow. I hope it is being used as a model to try and convince. Just the registration alone is worthy of presenting. No harm no foul...If the Birth Mother doesn't want to be contacted or the Adoptee does not want to be contacted...it's all there in black and white. It doesn't get any easier. Speaking as a mother, I never cared about papers or information, just wanted to know that my son was alive and ok and wanted to tell him that I always loved him. I have no interest in my agency records, surrender paper, or my son's OBC. It was never about identity for me, I have always known my identity. I wanted my son and all adoptees to have the right to know theirs if they wanted to. I have come to understand that the issues for adoptees are very different. The OBC is proof that they were born, that they existed before being assigned a new identity in adoption. It is a paper other people who are not adopted have a right to as a matter of law, and it should be the same for adopted people. A simple right to a piece of paper, what they do with it once they have it is their business, not mine or anyone else's. I do not support adoptee rights because I am praying for search and reunion, if so, I would have quit this cause years ago when I found my son. I do not feel it my place to tell adoptees to search or not search. The position of adoptees is very different from that of surrendering mothers, and I try to respect that. I searched because I had a need, but do not expect everyone to have that same need or to do what I did, nor do I think less of those whose choice is not to search, either mother or adoptee. I do believe adoptees have a human right to their OBC. If nobody searches or everybody searches is irrelevant. Clearly if it were about finding my daughter I would have quit adoption reform in 1981, when I did find her and had her on my life one way or another until her death in 2007. And might have quit then. My goal besides changing adoption law has been to change the way people think about adoption. It is not this warm and fuzzy thing like a bunny. Quite the opposite. It is borne out of great pain and sorrow, and harms, in most cases, the mother as well as the child. Period. Another good cause, adoptee citizenship to stop deportation of adult international adoptees whose adoptive parents neglected to get them citizenship. Some have been deported for minor crimes, Adam Crapser is currently facing deportation. This day is about legislation to correct this injustice currently before the house and senate, it is specific and targeted, not just a feel-good rally. Please call in to your representative if you cannot be there. April 2016: Join us for the Adoptee Citizenship Act Day of Action! Action Alert: Join us for the *Adoptee Citizenship Act Day of Action*! On *Tuesday, April 19th*, community members from across the country will gather in Washington DC for the first *Adoptee Citizenship Act (ACA) Day of Action*. We will be meeting with representatives to support the bill’s passage in both the Senate and House of Representatives. The Day of Action also will include a press conference, which will feature adoptees who do not have citizenship, and a call-in day for those who are not able to join us in DC. I agree. This is a very important day for adoptee citizenship.Here's a more comprehensive version. Join us for the Adoptee Citizenship Act Day of Action! On Tuesday, April 19th, community members from across the country will gather in Washington DC for the first Adoptee Citizenship Act Day of Action (ACA). They will be meeting with representatives to support the bill’s passage in both the Senate and House of Representatives. The Day of Action also will include a press conference, which will feature adoptees who do not have citizenship, and a call-in day for those who are not able to join us in DC. The Day of Action is being co-sponsored by National Korean American Service and Education Consortium (NAKASEC), 18 Million Rising, Gazillion Strong, the Adoptee Rights Campaign (ARC), and the Korean American Coalition (KAC). In 2001, the Childhood Citizenship Act (CCA) was signed into law, which granted automatic U.S. citizenship to all international adoptees. Unfortunately, the CCA only included adoptees who were born after January of 1983. It left out thousands of international adoptees from Asia, Latin America, the Caribbean and Africa. The Adoptee Citizenship Act of 2015 (ACA) will grant retroactive U.S. citizenship to all of these internationally adopted individuals, regardless of when they were adopted. The movement to pass the ACA is an adoptee-led effort, and now we need YOUR help to build momentum and secure U.S. citizenship for ALL international adoptees. You are an adoptee without citizenship with a story to share! Make your voice heard by sharing your story with your community and elected officials. You can come to DC! Join us in DC on the Day of Action on April 19th to speak with legislators about the ACA. You want to participate! Join us for a Call in Day on April 19th to urge your senators and representatives to support the ACA. If you are interested in participating in the above actions or more information, please contact us at adopteedefense@gmail.com. Somehow all the links to my comment about adoptee citizen day have disappeared, the comment makes little sense without the links. I don't recall what your comment contained, but hot links do not transfer without the HTML code. Next time, hit preview and you 'll see how the comment will appear. We took out no links. Thanks anon. I did not assume that the links had been removed but that it was some computer glitch which it was. Also explained in Lisa's post. Most of us can't make it to DC but can write and call our federal representatives to urge passage of this simple citizenship bill. Before I do anything else today, I am going to write at least two letters! Emails! I am going to assume it is better if they are sent separately, rather than as one with multiple recipients, but something is better than none! Come on people, let's get this started! Here's my letter, and I in the end did incorporate a link to Samuels, but left it up to the reader to check it out of they are so inclined. Please say NO to HB 391, regarding the release of information to adoptees about their birth data. HV391 is so encumbered with unnecessary restrictions it appears designed to thwart the release of information to both adoptees and birth parents, rather than ease it. I surrendered a child to adoption in deepest secrecy in 1966. At the time I argued against the anonymity that was to prevail for both my daughter and my own life for all time, but to no avail. The law was “the law” and it would be foisted on me and my daughter against my will. Yet the laws sealing birth records were never designed to protect mothers from their own children, but were enacted at a different time when ideas about adoption, and an individual’s need to feel connected to the rest of us in a real, physical sense, were quite different from what we have come to understand today. A state that has never sealed birth certificates, Kansas, has a substantially higher adoption rates than the U.S. as a whole, and lower resident abortion rates, including the four states abutting Kansas. The figures are from the journal Child Welfare; the statistical abstract of live births for those states; and the Alan Guttmacher Institute. Courts in the past have held —and unquestionably courts in the future will find—that the mother has no constitutional right to remain anonymous from her child, and thus the state has no obligation to keep her identity secret from her offspring. The current bill is a mess and encumbered with so much baggage that is must be defeated and a new, fresh start taken on this issue. Birth mothers were never promised anonymity and their false “protection” from their own flesh and blood should not be the reason adoptees are still denied the right the rest of us have by being born, that is, the answer to the question, Who am I? DONE! I emailed all of the representatives on the list. PLEASE GET INVOLVED. WE CAN TURN THE TIDE. I have worked in open records legislation for a long time. Lawmakers do want to hear from the people whose names are on the records. If you relinquished a child in a state with a proposed bill, but don't live there anymore, you still have a direct connection to that bill. Contact the bill sponsor and tell him/her/them what you think. And be sure to tell what your connection is: let them know if you relinquished a child in their state, even if it was a long time ago. They want to know what you think/feel. After all, 'a long time ago' is a part of what these OBC access bills cover.